The end of the day approaches and I cast my thoughts like a net, back across the hours, fishing for accomplishments to make me feel satisfied. I take a deep breath as a breeze stirs the leaves above my head. My sister said to me recently, “If I’m not doing two things at once, I feel anxious.” A truism for me as well. We joke about our daddy’s “Puritan work ethic.” Our father doesn’t know what to do with himself without multiple tasks to complete. He plants a massive garden and spends most of Michigan’s few beautiful summer months, back bent, tending to the needs of soil and harvest. He hauls wood, shovels snow, hunts, fishes, and attends to the multi-faceted other tasks rural living requires. And if there’s nothing immediate needing his attention, he creates a project. Anything to feel like he’s done something “useful” with his time. Lately, I’ve been pondering what “useful” and “accomplishment” mean. What does it take for me to feel as though the day has been worthwhile, and therefore I can relax? Are these pressures coming from society? My family legacy? Myself? All of the above? 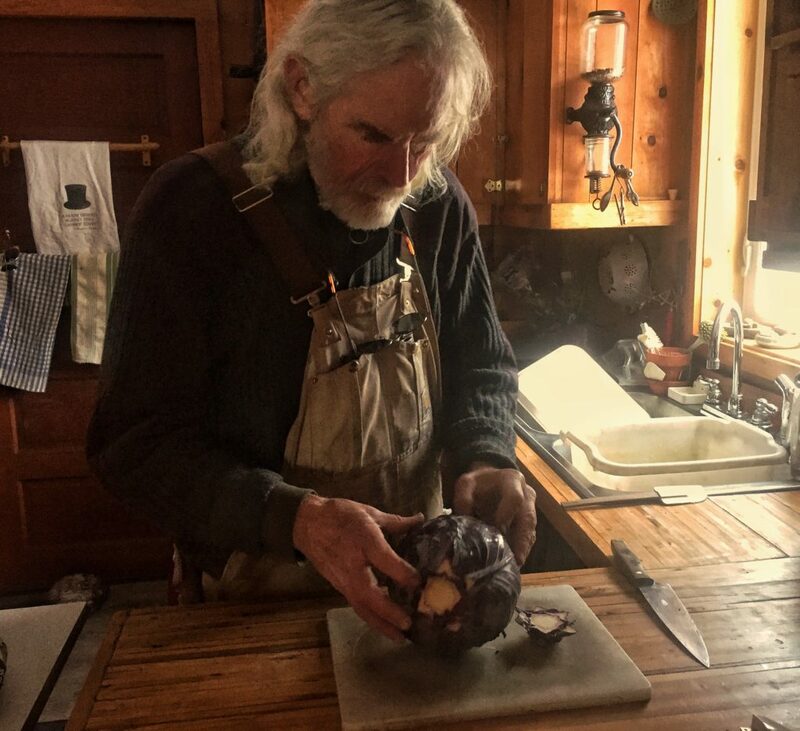 Daddy preparing a purple cabbage he grew. It spent the winter in cold storage, and is now being prepped for salad. Some of this sense of anxiety is definitely rooted in the aforementioned Puritan work ethic, whose mythology is so woven into the American psyche, we don’t even realize it. It’s tied to a capitalist push to “have something to show for yourself,” in order to gain approval from society, family, spouse. It’s these urges that separate us from animals—a mindlessness in action enviable to humans as we often equate being free of such anxieties as living a more full life. 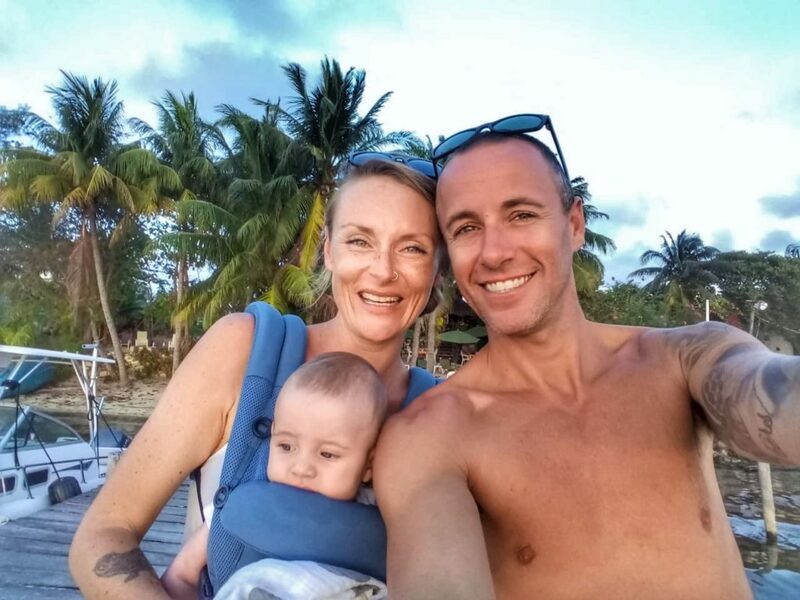 We use everything from drugs and alcohol, to adrenaline, to meditation and yoga in attempts to free ourselves from these ever present anxieties. With consciousness comes a disconnect from our animal selves and the instincts inherent therein. We’re not sure what it means to be a Good Human, because it’s complicated. This is separate from the notions of morals/right & wrong. Being a good human is caught up in other things like pleasing society, becoming famous (and therefore potentially timeless and “immortal”), and in today’s world, keeping up with social media trends. I think social media adds to the anxiety, as there’s always the pressure to post photos of interest or portray a certain “lifestyle” to a wider audience. I struggle against these notions, trying to find a balance between the human-constructed world I live in, and follow instincts that are just as, if not more, true. Instincts that urge me towards rest when the day is done, but another part of my mind is often determined in another direction. I experience these anxieties even more since becoming a mother. With a baby, it feels like the expectations upon me are even greater, as they now extend to the little person I’m nurturing into adulthood. Sitting in our soft blue arm chair nursing our son, the anxieties often voice themselves. I look around at the floor that needs sweeping, laundry pile, tidying, dishes, freelance work, and feel my heart rate rise. I take a deep breath and muse on what else I accomplished in the day that I’ve overlooked. Did I keep my nest, if not tidy, at least clean? Did I nourish myself/and or my family? Did I do something joyful? When asked, I’m certain most people would say these things make for a fulfilling and productive day as a human, but it takes regular practice to change the day-to-day mindset that says these things are not enough. I know they didn’t mean any harm, but I couldn’t help sputtering at the implication of the “just.” Especially as I considered all the little and big things I’d accomplished over the day: the bed made; floor swept; dishes done; baby clean, happy and fed; soup made for dinner. Hell, I’d even showered. I felt satisfied with these things at the end of the day, but still that “just” rankled, and if I’m being honest, still does. 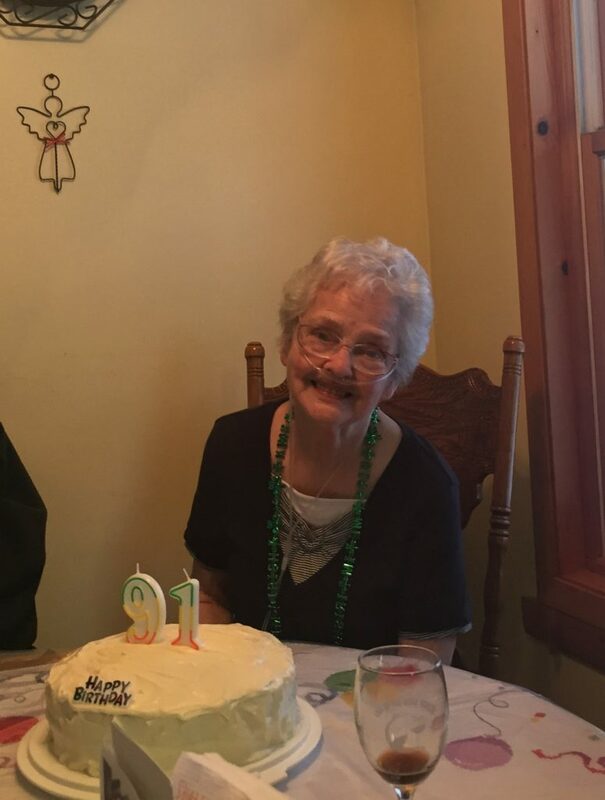 The ever-lovely Betty Harkness on her 91 birthday. 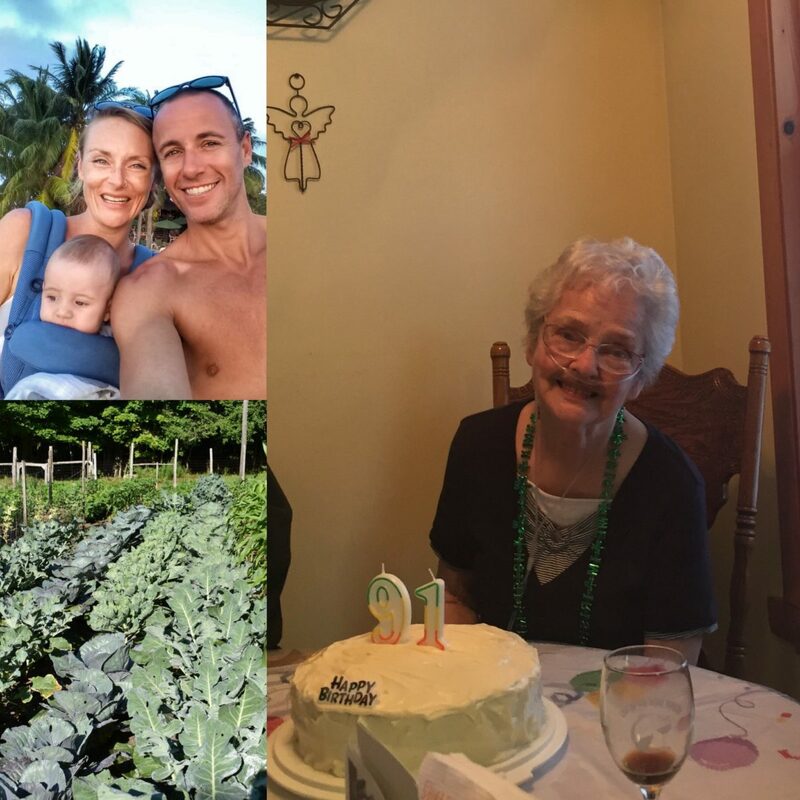 Last week, my Grandmother, Betty Harkness, passed away. She was one of the kindest humans I’ve ever met. Grandma was my babysitter from the time I was born, and went on to nurture my sister as well. My father’s father died when I was six, and I never knew my mom’s mother, who passed away from a brain tumor when my mom was only 29. The Harkness’ were adopted family—we all adopted each other. I can’t recall an earliest memory with Grandma and Grandpa—only a wonderful bundle of remembrances glowing warm like the sunset from their west facing window, tinged with aromas of fresh-baked bread, and echoes of Grandpa’s laughter. Their lives were simple, and good. They lacked materialism, found fascination and conversation in the every day, and lived by a code of kindness I attempt to emulate in my own life. Visitors never left their home empty-handed—Grandma believed in a loving version of hospitality not often seen these days; a loaf of fresh bread; jars of pickled beets, canned green beans, pink apple sauce; or lightly frosted pumpkin cookies. The love between Grandma and Grandpa was kind, funny, steadfast, well-worn, and always present in the room when they were together. They were married over seventy years. As a child, I remember watching him tease her in the kitchen, driving her to distraction and annoyance with his antics as she tried to cook. Her frustration made him laugh as her tiny hands batted away his big, teasing fingers getting in the way of whatever she was cooking. “Clyyydeee!” She said in a drawn out, pointedly annoyed voice. “Oh Betty,” he’d respond with a well-practiced, satisfied smile before making an escape outside, or into his chair in the living room. Sitting in their living room was a small pocket of warmth and simplicity away from the complicated world. Grandpa liked popcorn without salt and butter. Grandma served us rice pudding in green glass goblets. Grandpa let us brush his nonexistent hair and laughed as we laughed. Grandma, despite being so tiny, always seemed to pull you in for a hug. It was tradition to wave goodbye as we drove away from their house. As the car started down the driveway, we looked to the picture window, and Grandma and Grandpa’s smiling faces were always there, side by side, their love a blessing for the journey ahead. Grandma and Grandpa worked incredibly hard, but they also found time to sit and enjoy a card game, a good conversation around the kitchen table, or a quiet moment on the porch on a summer evening. They seemed to have found a balance between their hard work, and taking time for rest, conversation, and contemplation. They found joy, and worth in the small, good things their days consisted of. I believe that by the time they passed away this year at 94 and 92 respectively, their lives came to represent what it meant to be a good human. One can never know what goes on in the minds of others, but from my perspective, it seemed that Clyde and Betty felt useful, content, and joyful; secure and at peace in the goodness of homemade bread and an afternoon nap after shoveling the driveway. 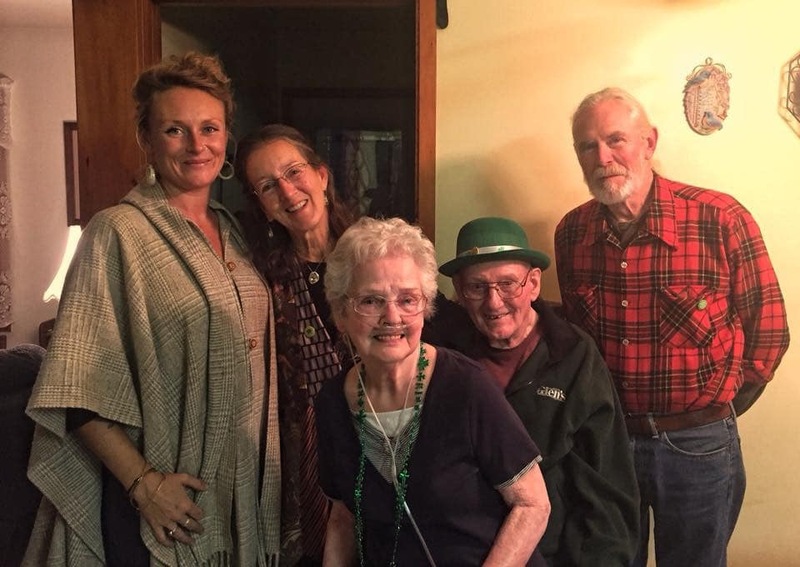 The Harkness’ and the Mills’, St. Patrick’s Day 2018–the last time I spent with my grandma and grandpa. I am deeply saddened by the deaths of Grandma and Grandpa Harkness, but as opposed to others who have passed on, the grief is tempered by the knowledge that they lived well. Their lives, while simple, consisted of working hard, providing food for themselves and others, and finding joy wherever they could. I cooked a good dinner for my family. 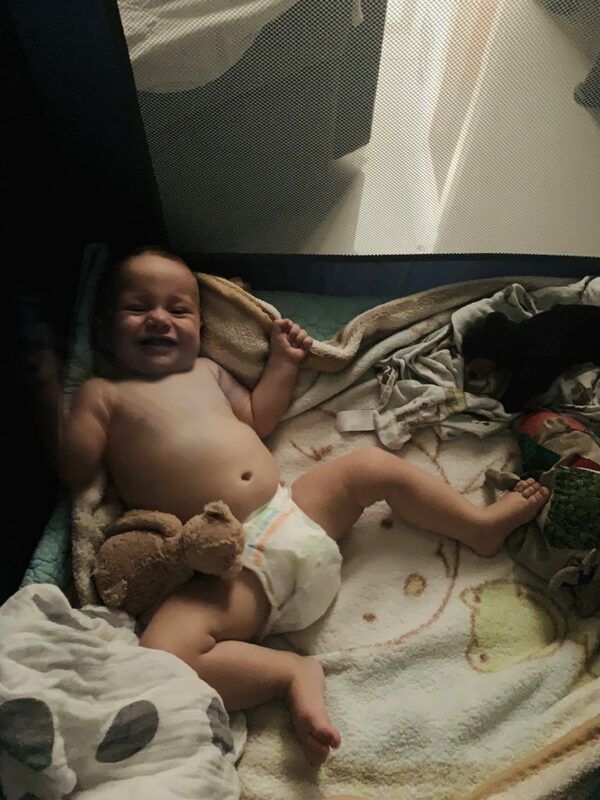 My child is full, clean, healthy, content, and asleep. I have time to make popcorn and continue reading Jane Eyre for the third time. For tonight, this is more than enough. The Rickman Family enjoying some Soggy Peso dock time.